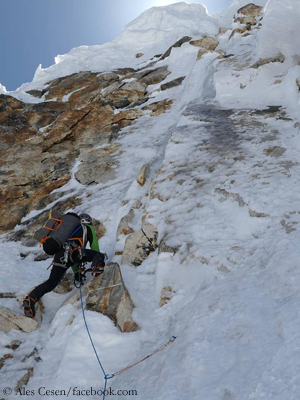 In the upper part of the mountain the trio left the North Ridge, climbed over an ice field to the right towards the West Col and then crossed to the left through the North Face to the highest point. 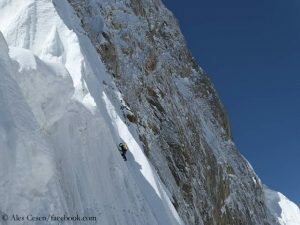 “Our priority was climbing the mountain from the north side, doing that via the ridge was the second priority,” Tom said. For safety reasons, they decided to deviate from the route via the ridge. 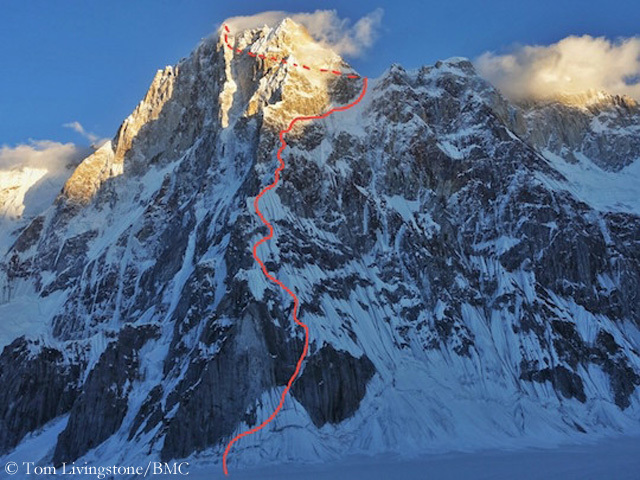 Livingstone recalled in this context the fatal fall of Russian climber Sergey Glazunov while abseiling from the upper part of the North Ridge and the subsequent helicopter rescue of his team mate Alexander Gukov. The trio had followed the drama of the two Russians during their acclimatization phase. German top climber Alexander Huber – who was tackling at the same time together with his 27-year-old compatriot Fabian Buhl the South Buttress of the 6166-meter-high Choktoi Ri, located near Latok I (both want to report their experiences shortly) – bows to Cesen’s, Strazar’s and Livingstone’s performance. 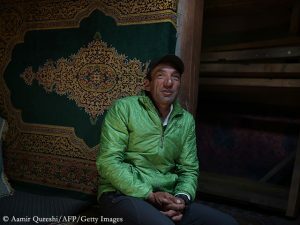 “More than just well done,” the 49-year-old commented on the success on Instagram. 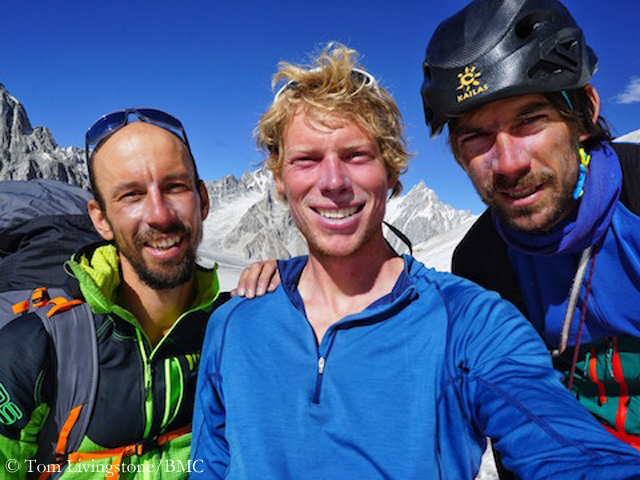 His older brother Thomas Huber (51) was at the time of the coup by the Slovenian-British trio with his climbing partners Rainer Treppte (59), South Tyrolean Simon Gietl and French cameraman Yannick Boissenot still on their way to Latok I. Their destination too: the northern side of the seven-thousander. 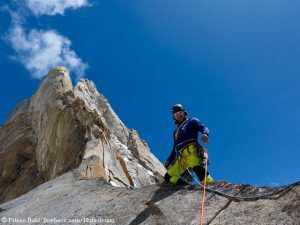 Before their departure, Thomas had left open to me whether they wanted to tackle the North Ridge or the also still unclimbed North Face.